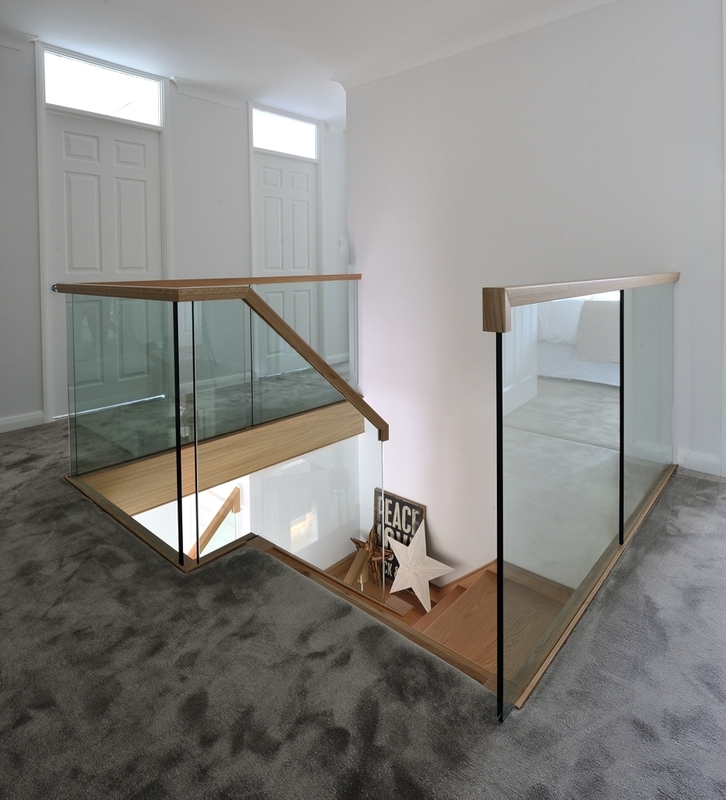 The latest in our series of Customer Stories series looks at the bespoke staircase we created for Derek and Elaine Cox. 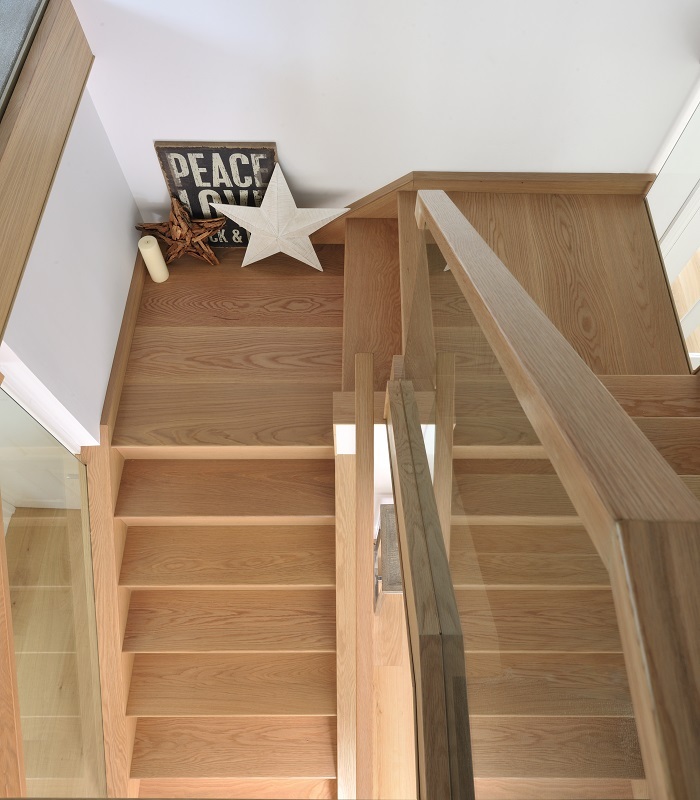 They wanted a contemporary, oak and glass staircase with a galleried landing that was in keeping with their newly renovated home. Here’s how we made it a reality. 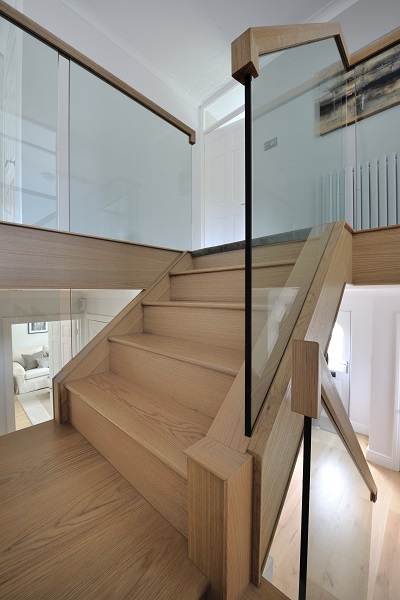 Instead of wooden uprights, glass panels were used and the solid oak steps replaced with open treads. 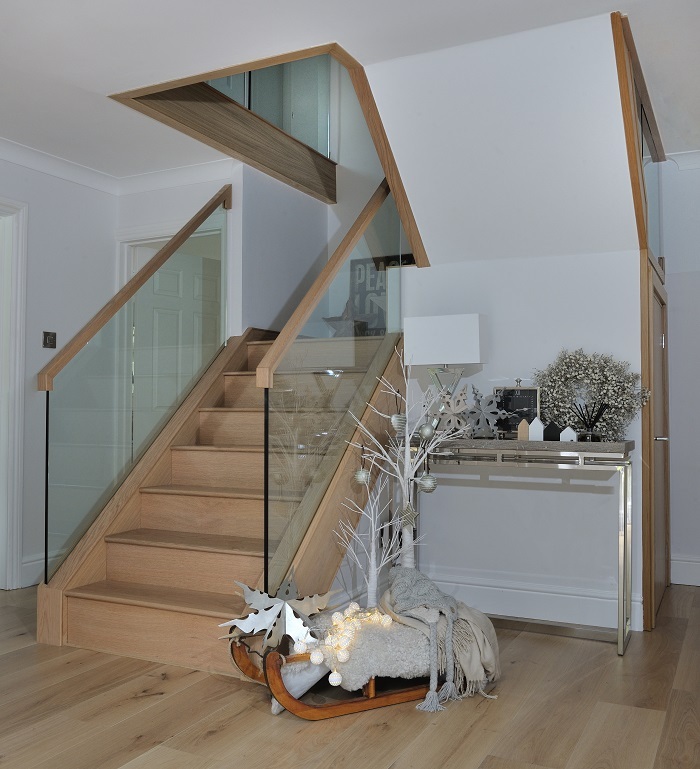 This created a stunning oak and glass staircase with half landing. 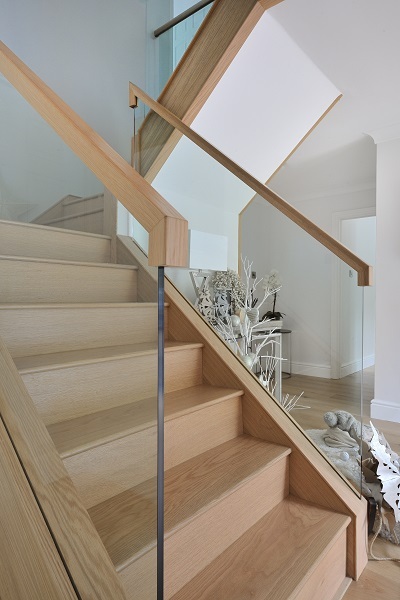 Since their staircase was right in front of you, and the first thing you saw when you stepped inside the home, they wanted a staircase that was simple and stylish but wasn’t overbearing. 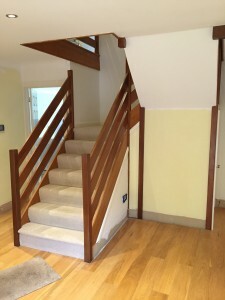 It also needed to set the look and feel for the rest of the house. 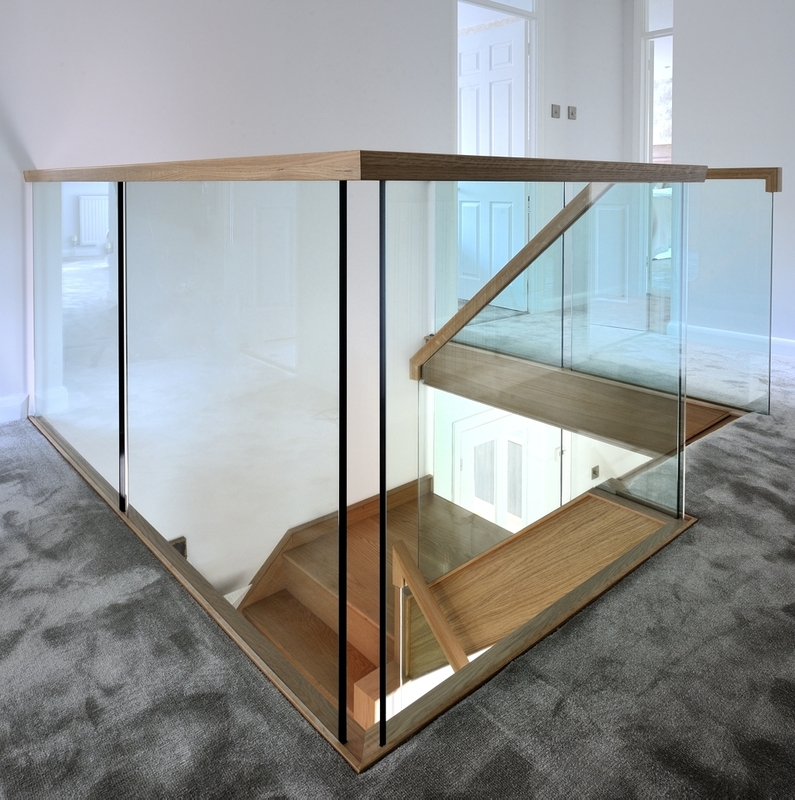 Despite other staircase companies saying that they were unable to meet the design brief, we delivered the precise look that Derek and Elaine were after; simple glass panels inset into oak side panels without the need of supporting oak or metal balustrades.